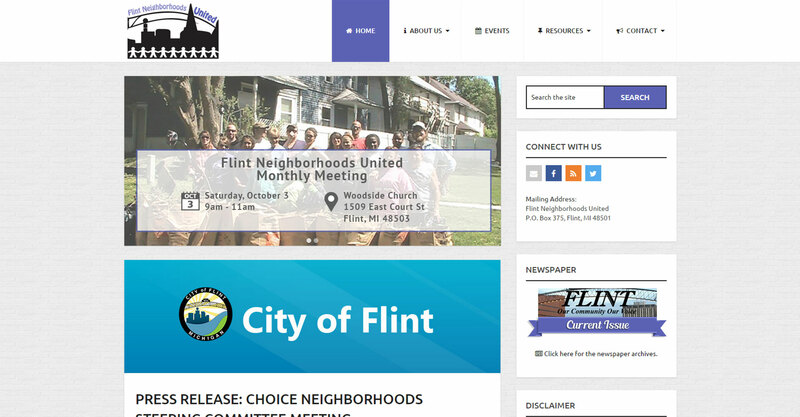 The Flint Neighborhoods United organization seeks to bring together all neighborhood organizations in the city of Flint. This was a WordPress website utilizing Apptheme from MyThemeShop. It is blog-based, with an events calendar, social media integration, and web advertising. 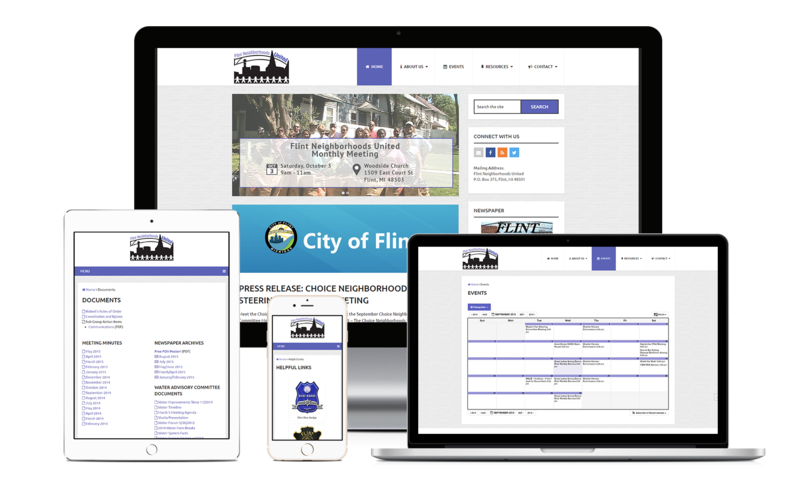 We are also responsible for regular updates/additions to the website, as well as replacing the Facebook cover image weekly.